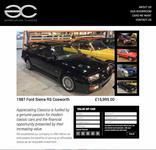 Appreciating Classics are very proud to offer for sale, what has been branded ‘Europe’s best AE86’! 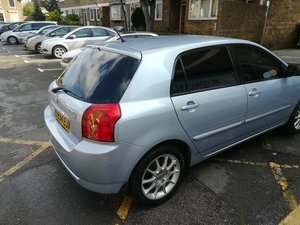 A well known car within the high end modified car world, having been painstakingly built over the last 12 years, using only the very best parts available. With a cost of over £70,000.00 to build, you know this car has not been built on a budget, and was always set for greatness from the outset. 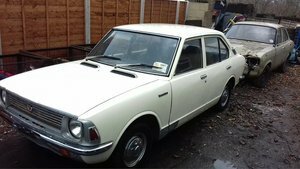 Having very recently been finished, the car is now offered for sale, having only been driven a handful of times – this is purely due to space restrictions and a new project. Cover car magazine feature in both Japanese Performance and Fast Car magazines in June 2018. 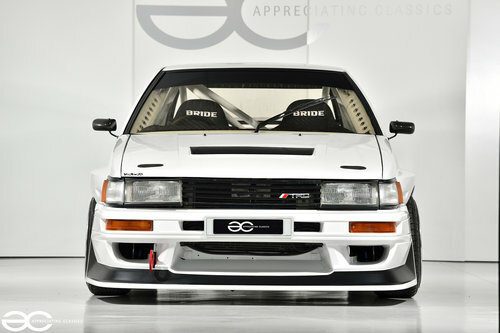 Japanese Performance placed the car on the cover with the title ‘The UK’s Finest’ and Fast Car Magazine with the title ‘The World’s Best AE86’!! 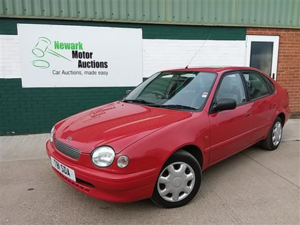 Below you will see the specification detailed, and anybody who knows these cars, will understand that it really has had the best of the best thrown at it….. 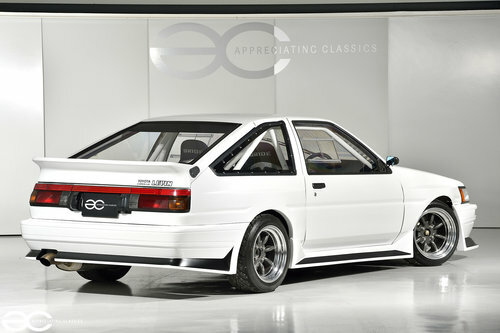 Imported in to the UK in December 2007, this AE86 was spotted by Conrad Bradley. Conrad had been searching tirelessly for a very nice example of such a vehicle, having viewed around nine examples he fell upon this very car. 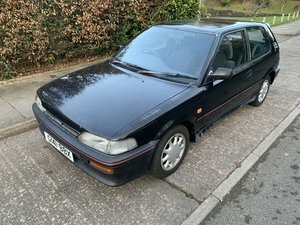 Originally being told it was not for sale, the owner eventually agreed to let it go, and Conrad had his long desired AE86. With plans to build a nice track car, with fairly basic modifications, Conrad soon got a little carried away and we are left with what you see here today. As can be seen from the pictures, this AE86 is no ordinary example, having been stripped to a bare shell, with all seam sealer and sound deadening being removed as well. The chassis rails were strengthened, with seam and stitch welding taking place, the strut tops also benefited from being reinforced, and a full custom roll cage, which links to the strut towers front and rear. Custom aluminium tubular front panel replaces the original slam panel, and the firewall/bulkhead has also had unnecessary holes welded up, with custom aluminium inner wings being fabricated. You will also notice the custom steel wide arches (no fibreglass arches here! 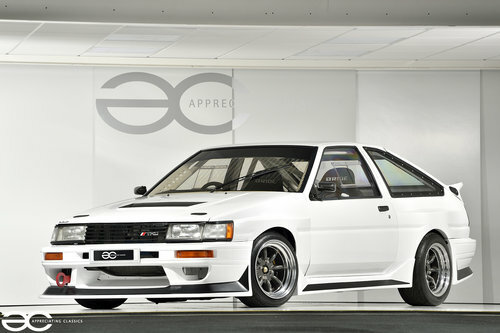 ), which were designed to compliment the 1980’s aesthetics of the AE86. Alongside the custom arches, are a J-Blood carbonfibre bonnet, J-Blood fibreglass tailgate (both with aerocatches fitted), along with a Run Free front bumper, side skirts and rear bumper (modified to match the new wider arches). 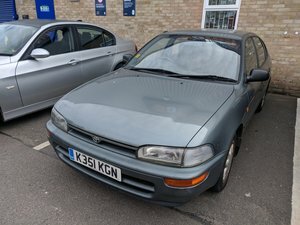 For most this would have been enough, but Conrad went in to further detail, fitting a JDM windscreen, Plastic 4 Performance polycarbonate side and rear windows, a late model AE86 slotted front grill, and Red Line rear lights / number plate surround. 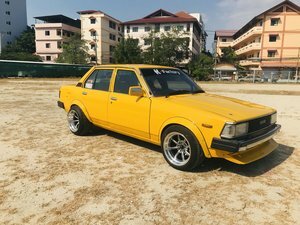 We all know that wheel choice can make or break a build, Conrad got this just right as well, with a set of 8×15” RS Watanabe wheels. A very neat finishing touch is the aero fuel filler cap, which is now located behind the number plate. The car is finished in White with Satin Black details, and looks great, with a superb finish to the paintwork across the entire car carried out by Rukus Customs. The interior has received similar treatment as the rest of the car, being laced with only the best parts, at great expense! Open the door, and the first thing you notice is the carbonfibre doorcards, complete with TRD door pull straps. Climb across the exquisite custom fabricated multi point roll cage (with carbonfibre protectors in place) and you sit in beautiful Bride Graduation Low Max bucket seats, with Takata Green race 4-point harnesses. Once comfortable, ever more trick details become obvious, such as the custom carbon fibre console, housing all the switchgear and LED’s, which is all wired beautifully – it is worth mentioning at this point that the custom motorsport specification chassis wiring loom and the custom motorsport specification engine wiring loom are joined using a Mil-Spec bulkhead connector, meaning the engine and engine loom and be removed as one. As well as the centre console, the car benefits from a AIM MXL digital dashboard display, which is utterly beautiful, housed in the original dashboard, albeit flocked to give that real race car feel…..
WRE aluminium drivers heel rest plate – Tilton pedal box, a KEY!S deep dish steering wheel with a quick release boss and lets not forget the Motec M84 ECU very neatly mounted, wired behind the centre console, with a Motec PDM 30 taking care of the power requirements. The engine of choice here, is a normally aspirated Toyota Beam 3S-GE BEAMS engine. One of the most highly regarded 4 cylinder engines produced. Of course, this is no ordinary example of this engine, with a hugely impressive spec list, a fantastically high rev limiter and around 260bhp. Built by Pete Whitfield, this engine sports TODA forged pistons, Eagle conrods, ACL bearings, and TRD gaskets, sump and oil pick up. The head was totally reworked by Pete Whitfield with Ferrea valves and TODA valve springs, retainers, TODA race spec high lift cams, cam pulleys and timing belt. Individual thottle bodies were chosen for the intake side of things, with Jenvey trumpets, SARD gold fuel rail, Bosch 044 fuel pump (with a custom in car fuel tank and lines), larger injectors and a large airbox with 5&#8243; air feed. On the opposite side of the engine we have a modified TRD manifold, mated to a custom centre section and rear silencer, with a titanium downward rolled tip. Taking care of this is a Motec M84 ECU and the end result is magnificent! Cooling is taken care of by a TRD thermostat and an Afco aluminium radiator. All of this, mated to a 6 speed Toyota Altezza gearbox, with TRD clutch, clutch cover, flywheel and flywheel bolts. The car is also believed to have a TRD rear diff. As you are no doubt expecting, the running gear comprises of only the best parts as per the rest of the car. Taking care of the braking are custom made AP Racing 4 pot calipers at the front with AP Racing discs and bells, likewise with the rear, AP Racing calipers with AP Racing discs, all utilising braided brake lines of course and all calipers being mounted on custom caliper brackets. At the front we have coilovers (TRD inserts), and TRD dampers with Swift springs at the rear along with TRD anti roll bars either end. Complimenting this, the underside benefits from various Techno Toy Tuning upgrades, such as T3 adjustable bottom suspension arms, T3 adjustable top mount camber plates, T3 adjustable front traction arms, rear anti roll bar billet mount and drop link kit, and a T3 custom rear equal length 4 link suspension kit. The 8x15inch RS Watanabe wheels are wrapped in Toyo tyres, all being as new condition. It is no wonder, taking in to account the level of components, and workmanship, that this car has been touted as the best in Europe! Rare SR version of the Ke35 Hardtop, (double carburetor). 100% Original in an incredible condition for its age. Shipping to Europe.